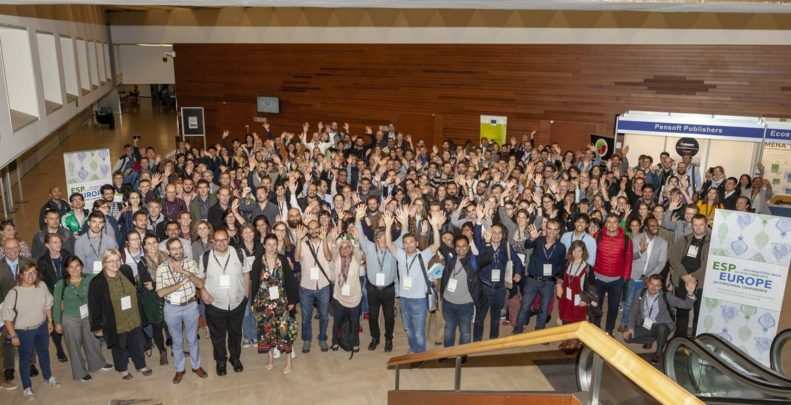 October 15-19, 2018 LIFE Viva Grass team participated at the Ecosystem Service Partnership (ESP) European Conference 2018 in San Sebastian, Spain. On 17 October the LIFE Viva Grass project hold one the thematic working group session “Ways of embedding the concept of ecosystem services into decision making processes for better agricultural land management”, co-chaired by Mr. Miguel Villoslada Pecina from the Estonian University of Life Sciences and Ms. Kristina Veidemane from the Baltic Environmental Forum – Latvia. The aim of the session was to share experience from various initiatives across Europe in applying the ecosystem service concept to support decision making on rural development as well as to discuss challenges and opportunities emerging from operationalising the concept of ES into existing land use planning and management systems. LIFE Viva Grass team presented the project achievements in development of grassland related planning solutions in the Baltic region – i) Viva Grass tool and its application for planning of green network, use of grass biomass for bioenergy production (in Estonia), landscape management (in Latvia) as well as ii) experience in stakeholder engagement in development of solutions for grassland maintenance in Madliena parish, Latvia. Other contributions included the proposals on sustainable soil management practices in agricultural areas (in Lithuania) for enhancing ecosystem services supply as well as French experience on how farmers consider ecosystem services in management strategies and actions. Early engagement of relevant stakeholders is very important task to design meaningful decision support tools for grassland and landscape management. Stakeholder involvement is also very crucial to value (weight) importance of the ES in relation to the human well-being. Understanding of ecological processes, in particularly soil and biodiversity features, and their impact of delivery of grassland ecosystem services shall be emphasized in planning and decision-making processes. For example, use of grass biomass without investing in soil quality maintenance may lead to deterioration of structures and functionality of grassland ecosystems thus also their capacity to deliver service, including production of biomass.